Dressler beat: Specifically a ‘ventricular fusion beat‘ in the presence of paroxysmal ventricular tachycardia. Typically observed in ECG tracings of wide complex tachycardia such as VT with AV dissociation. 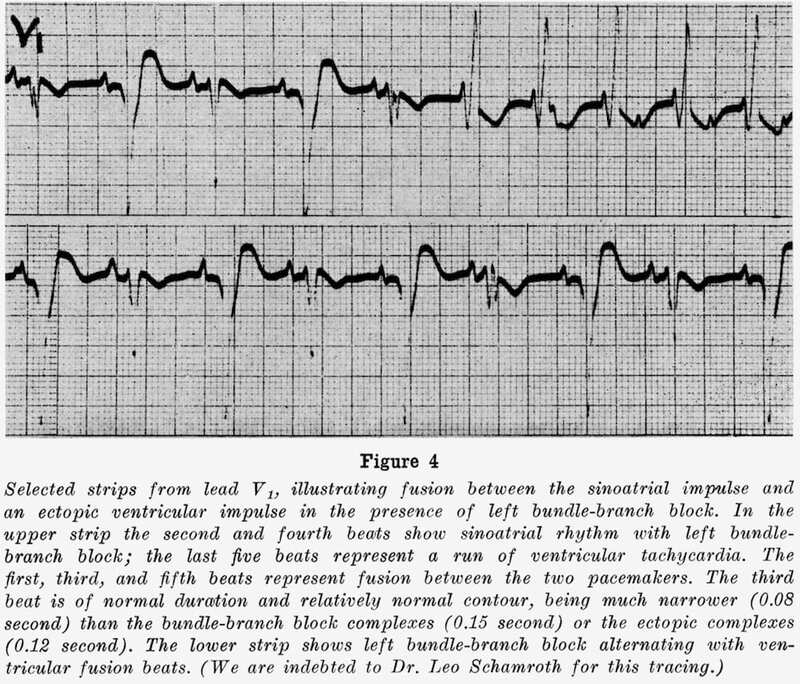 1943 – Cooke WT and White PD writing on paroxysmal ventricular tachycardia include two tracings (Fig. 13, Case 21; and Fig. 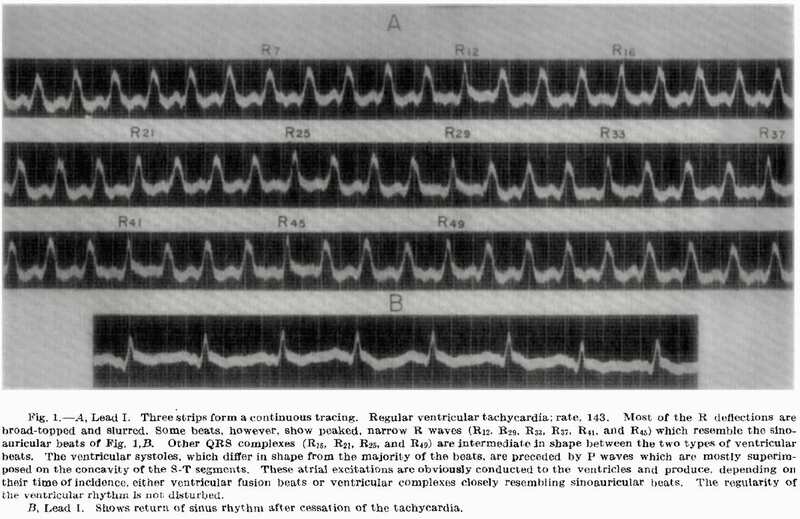 1, Case 22) which show variations in the shape of the ventricular complexes apparently due to conduction of sinoauricular excitations. 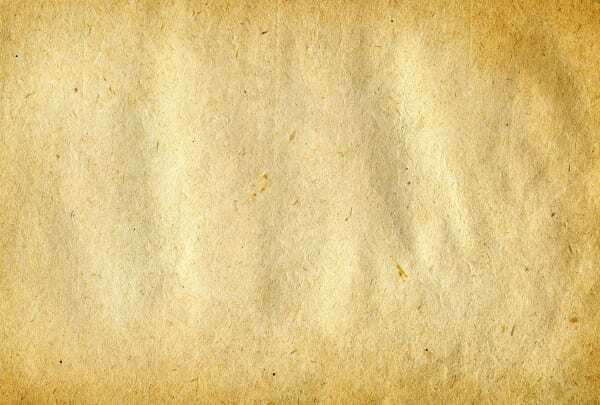 1948 – Malinow and Langendorf developed a classification table for the various types of ‘fusion beat’ and illustrate the proposed mechanisms for fusion beat formation. 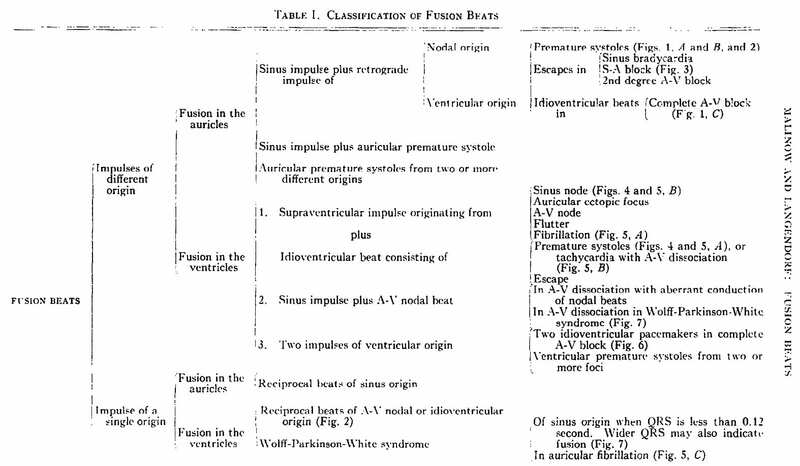 As detailed in their proposed classification – fusion beats are not synonymous with VT.
1952 – Dressler stated that “…reports in the literature on the occurrence of ventricular fusion beats in paroxysmal ventricular tachycardia are scant.” He reported six cases of paroxysmal ventricular tachycardia, which demonstrated variations of the ventricular complexes “transitional in shape to sinoauricular beats” and termed them ‘ventricular fusion beats’. 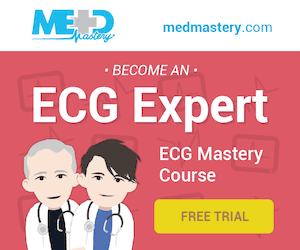 “Six instances of paroxysmal ventricular tachycardia are reported, which show variations of the ventricular complexes transitional in shape to sinoauricular beats. The variations are caused by transmission of atrial excitations to the ventricles, which mostly results in ventricular fusion beats. The regularity of the ventricular rhythm is only exceptionally disturbed by conduction of atrial excitations.